John Harold Sinks passed away on January 27th at St. Thomas Rutherford Hospital after a short illness. 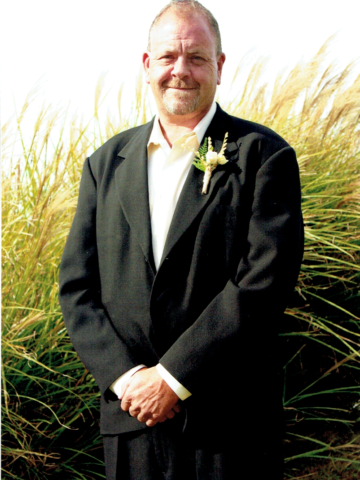 He is survived by his wife, Janene Sinks, son Austin Sinks, daughter Savannah Sinks, stepson Joshua Chappell (Rainee) and stepdaughter Ashley Chappell. Brothers Bill (Amanda) and Tim (Darlene) Sinks. Grandchildren, Jasmine Colbert, Mia Widenhofer, Sophia Chappell, Jackson Chappell, Emily Miles and Draxie Sinks. Nephews, Adam (Catherine) and Ryan (Leslie Sinks) and nieces, Abby (J.B.) Spaulding and Kendall Sinks. In-laws Roy and Sara (Kelly) Phillips. Great nieces, Sally Jo and Millie Anne Spaulding, Evie Dru and Ashlee Adele Sinks. Newest addition, great nephew Timothy Owen Sinks. His lifelong best friend Libby Williams (sister from another mother) and his dear Aunt, Gwynn Barber. Preceded in death by parents William (Bill) and Darlene Sinks. A Celebration of Life will take place on February 16th from 2-4 at Bluegrass Country Club, 550 Johnny Cash Parkway, Hendersonville, TN 37075. In lieu of flowers, the family has chosen the Alzheimer’s Foundations for charitable donations. Johnny was larger than life, knew no strangers and loved his family and friends with his whole heart. We are all now left with a hole in our hearts that can never be filled. Johnny was a kind man ,i haven’t seen Johnny in years but we would catch up on social media. Thoughts and prayers to Johnny’s wife and family. I am so sorry to hear of Johnny’s death. We send our prayers and condolences to you and your entire family. I had not seen Johnny in years but I reconnected with him on social media. He was always a super nice guy and I am saddened by his passing. It was obvious the love he had for his family. My prayers go out to them. R.I.P. Johnny. I will remember Johnny as a little boy scooting through my back yard, completely carefree, on his way to the old Bluegrass pool. During the summer, his gorgeous blonde hair was a great shade of green from the chlorine. Johnny loved that pool. My sincerest sympathies to the family. What an amazing friend and person! I have loved Johnny since I was a child, and as I told Libby he never ended a phone or text conversation without telling me how much he loved me. We were all blessed to have had him in our lives, and he will forever be in our hearts! Fly high my friend. See you on the other side . and btw.. I love you too !! My thoughts and prayers go out to Bill, Tim and the Sinks family. Mom, Dad, Donald and I were shocked to hear of this. While the years have past, the memory of youth lives on. Rest In Peace Johnny! We just laughed and laughed. Might be one of those “ya had to be there” moments. He was funny. Anyone who knows him knows that. He could light up a room.